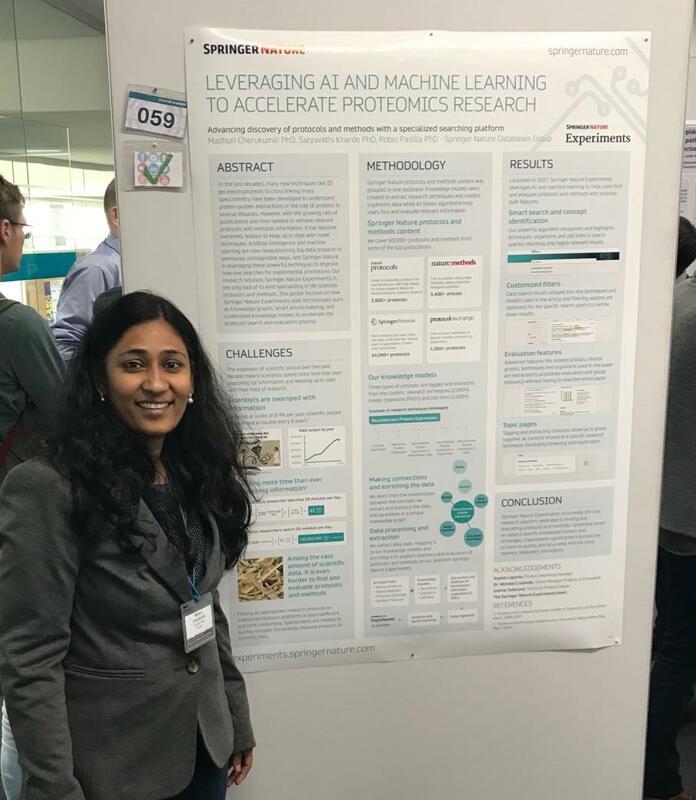 EMBL–Wellcome Genome Campus Conference focusing on “Proteomics in Cell Biology and Disease Mechanisms” that I attended on the 7th-9th of March was very special to me. 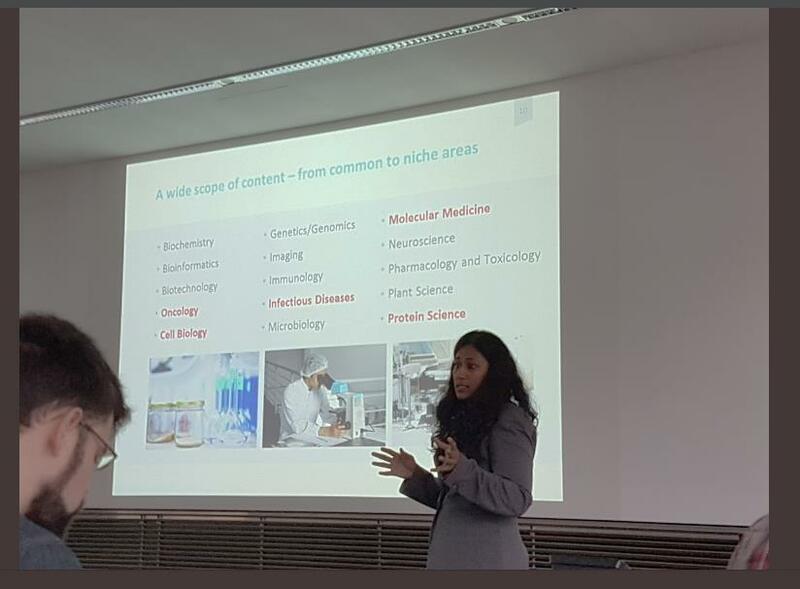 As an EMBL alumna, it brought back many nostalgic feelings and I was also totally excited about the pre-workshop dedicated to Springer Nature Experiments followed by a Flask talk and the poster session. Thursday 7th March started early with registration and booth set up. Later that day Sophie Laporte, the Springer Nature Experiments marketing manager joined me in the booth. My first event of the day was the late morning pre-conference workshop scheduled for Springer Nature. 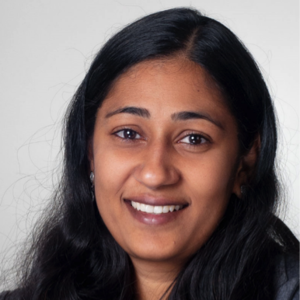 In my workshop, I focused on Springer Nature Experiments and how its unique features and technologies such as knowledge graphs, smart article indexing, and customized knowledge models support proteomics research and more. The number of attendees was around 30. The participants were impressed with the platform, which I could also see later with the traffic at the booth and the number of participants requesting demos and asking for more information. I gathered a lot of constructive feedback about the product. One of our Springer Books editors Gonzalo Córdova (Medicine and Life Sciences - Books) in the research publishing division also attended the event. Perhaps due to the pre-conference workshop, our booth was always crowded with curious researchers and even a few senior scientists and principal investigators visited our booth. We demonstrated Springer Nature Experiments according to the individual researcher’s topic of interest and they were impressed with how quick they could find and evaluate protocols. In the afternoon, I delivered a flash talk lasting 60 seconds to represent my poster. I am a big fan of flash talks as it gives a perfect platform to trigger curiosity of the entire audience about the poster. 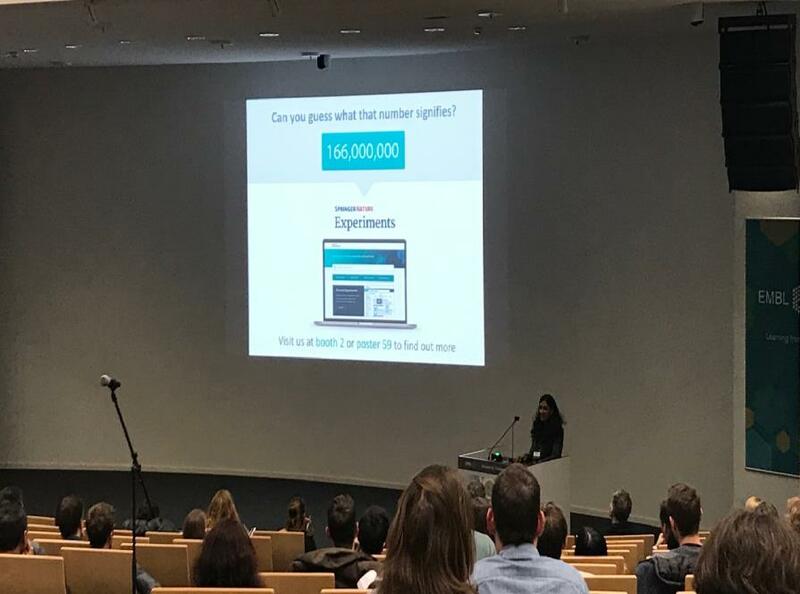 I used the number 166,000,000 (number of estimated hours spent yearly by 2 million researchers globally to search for protocols & methods) as a teaser during my flash talk and gave a very brief introduction to Springer Nature Experiments and how we plan to decrease this number of hours spent on looking for protocols and methods. The teaser worked well as several intrigued researchers flocked at the poster to understand the science behind the platform. Day one was a very hectic but eventful. During the next two days, we spent more time at the booth and we had a great time interacting with the researchers. A few researchers checked out the platform and came back to us with some suggestions and even a wish list for the future. We had prize drawing where some lucky winners took home selected Springer books and Nature journals. The attendees showed a lot of enthusiasm and actively participated in the draw and by the last day all our books and journals were taken away. 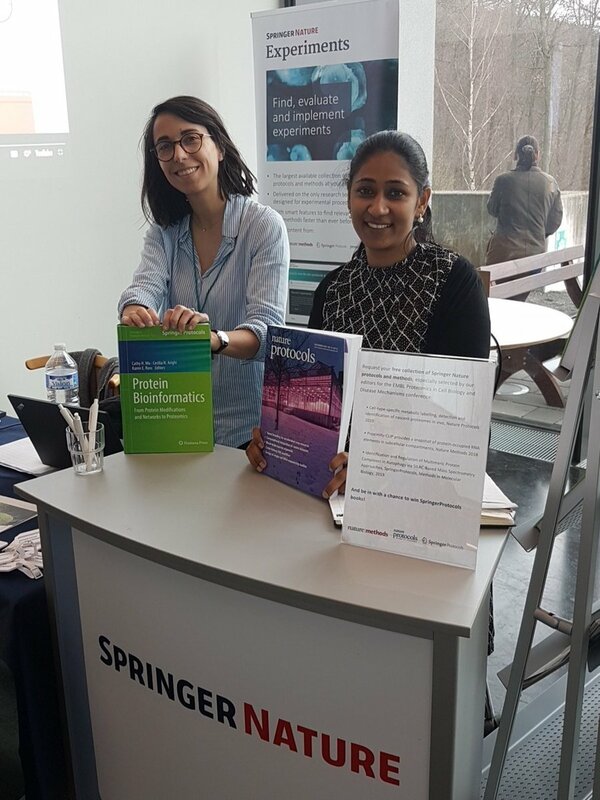 We asked our editor colleague Gonzalo Córdova to select two best posters and we gifted these winners with our Springer books: Proteomics: Methods and Protocols and Serum/Plasma Proteomics. The EMBL–Wellcome Genome conference focusing on “Proteomics in Cell Biology and Disease Mechanisms” ended up very successfully. The exhibition officer at EMBL, Assol Rustamova was very helpful from the beginning until we left the venue. A very big thanks to one of our colleagues Lothar Minicka, who made sure we had everything needed for a successful conference. EMBL conference series are at the top of our list and I hope to attend another exciting EMBL conference next year!